The Zimbabwe Association of Professional Archeologists and Related Disciplines have been urged to consider establishing a professional Council whose mandate would be to regulate and register the practice of ZAPARD members. Professor Muzvidziwa said the role of the association is key in improving disciplines through the establishment of codes of conduct that govern the works of professionals adding that, the institution will support the association in its initiatives to promote research among other areas. “We strongly believe that our stakeholder thrust offers a fertile ground for professional associations to stimulate the development of our disciplines. For instance our association goes a long way to identify things and map out research guidelines for academics in related disciplines. The process translates into much-needed collaborative research projects among different academic institutions within and outside Zimbabwe,” he said. 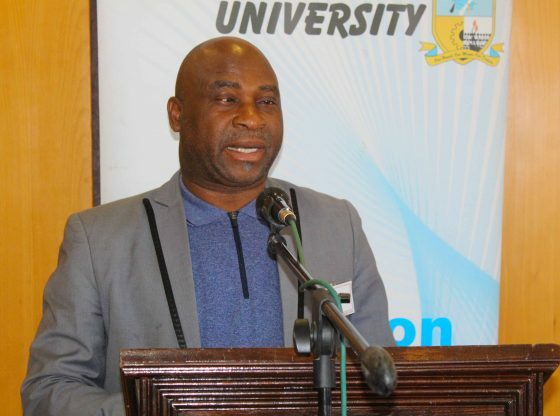 Dean in the Faculty of Arts Dr. Terrence Mashingaidze noted that Midlands State University is committed to the sustainability of ZAPARD in its quest to enhance the politics of knowledge production. He added that it is the intention of the university to see platforms of knowledge production such as ZAPARD, aligned journals, book series and publishing houses based in the global south flourish. “These platforms should reconfigure the North south circuit of knowledge production. We should be leading opinion makers on heritage matters. It seems the best marketed and most organized associations and journals on African studies are based in the Euro-American academies and ester while imperial metropolis. Even those of us calling for the Africanisation and decolonization of African knowledge still want to publish in these Euro American platforms,” said Dr. Mashingaidze. Various topics including the Archeological Ethnographies of Indigenous Artisanal Mining in Eastern Zimbabwe, digital technology in museum exhibitions at Mutare Museum and an examination of ostrich egg shell beads variability from Impala rock shelter in Bumbusi Ridge in Hwange were presented. The conference was aimed at reviving and synergizing the association while offering a scholarly platform for academics, educationists, heritage practitioners and policy to discuss topical issues within the Zimbabwean context.